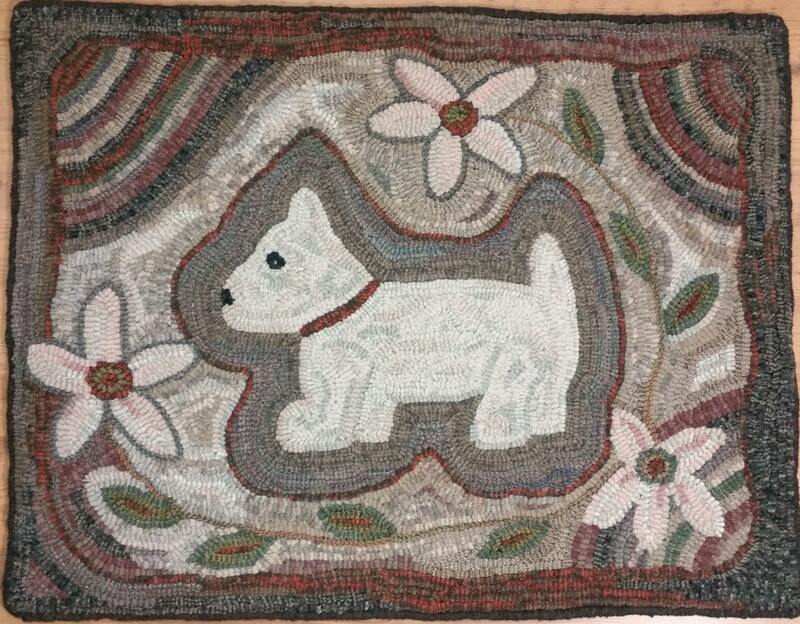 This listing is for the rug hooking pattern "Daisy the Pup" on your choice of either cotton monks cloth or primitive linen. The pattern comes with a 4" x 6" photo. The design is 21.5" x 27.5" and is hand drawn on the backing fabric with at a surrounding 4" border. 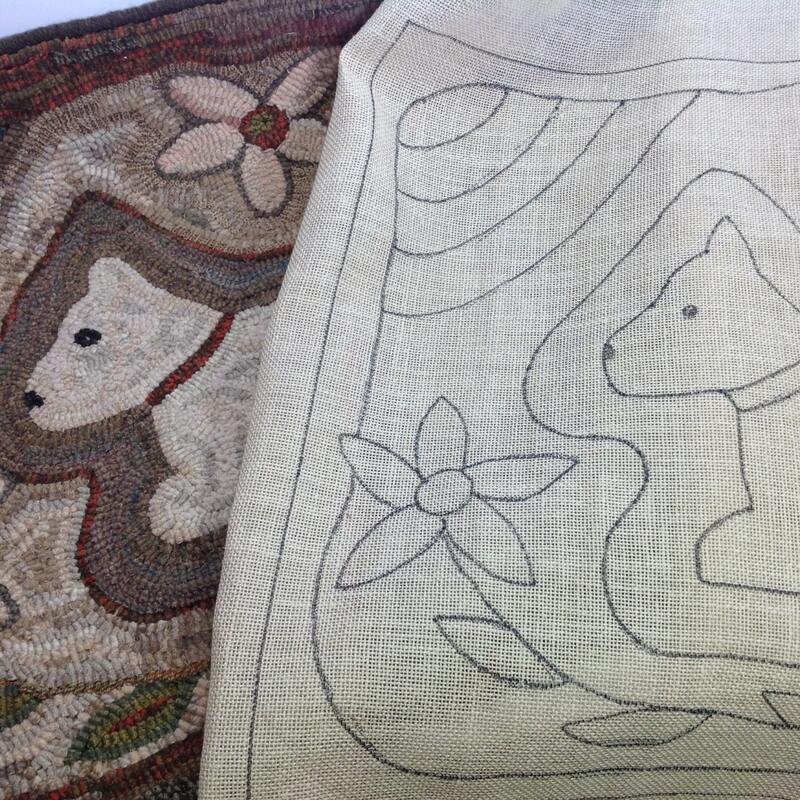 Care has been taken to draw all straight lines on the grain line so that your rug will finish square. 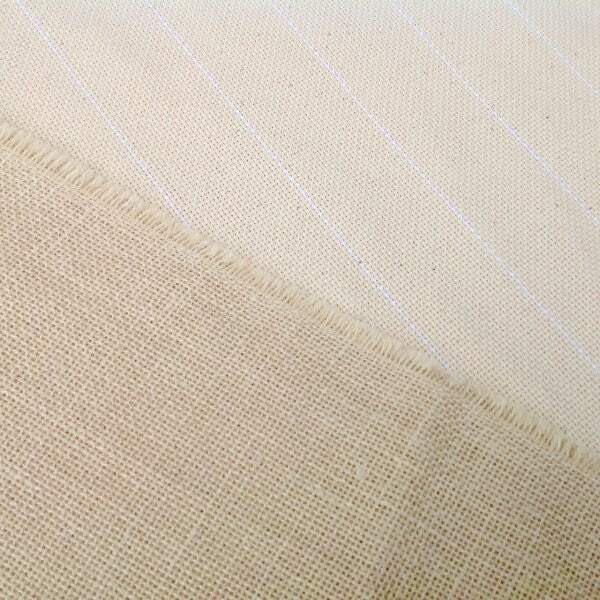 The outside raw edges of the backing fabric have been serged to prevent raveling. For more info on backing fabrics, see my FAQs. I loved hooking this pattern. I knew when I designed this rug that I would probably name her after the daisies in the design, hence she became "Daisy, the Pup". In real life, I have two "grand" dog Westies and they are adorable. Their names are Charlie and Cricket. 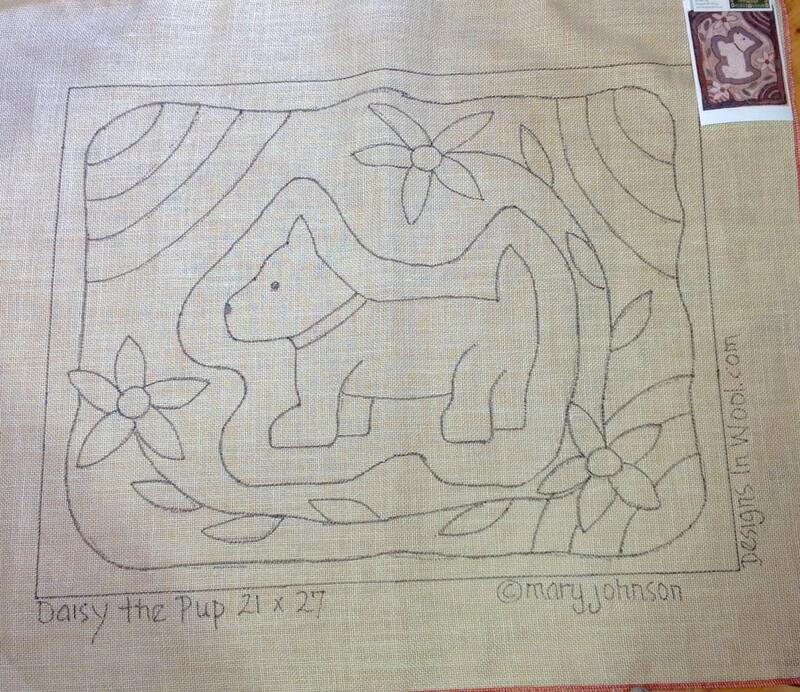 This pattern would be a great rug for a beginning rug hooking project if you are going to take a class or workshop. It also hooks up quickly for all you veteran hookers. I used a lot of fat sixteenths and fat eighths in this version. For most of the rug I kept to soft lights and neutrals, dull primitive backgrounds around the pup and a mix of darks and mediums for the border. The curved geometric areas were hooked with all the wool fabrics in the rug.